On this date in 2009, China executed four Tibetans widely considered political prisoners. The previous year, widespread unrest over Chinese control had shaken the country, most notably riots in the capital, Lhasa that targeted Chinese persons and shops. Loyak, one of those executed Oct. 20, 2009. Specifically, both had been convicted of torching shops during the Lhasa riots, which arsons both led to deaths. 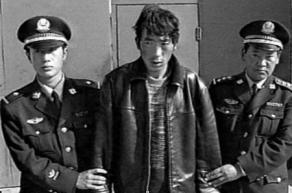 The other two executed, a woman named Penki (also for arson) and an unnamed man, received less comment, although they might have been executed despite having been condemned only to a “suspended” death sentence, which for China is generally no death sentence at all. Executions in Tibet turn out to be relatively rare; these were the first known Tibetan executions since early 2003. Widely condemned abroad, this date’s events were barely or not at all reported internally by Chinese state media.